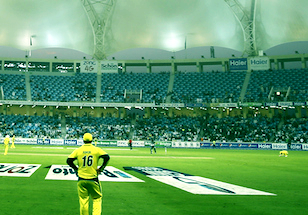 The fourth season of the Pakistan Super League can be expected to be held in February-March 2019 but the PSL schedule is yet to be released. Once the Pakistan Cricket Board releases the PSL fixtures for the 2019 season, we will update you with the same and you can follow your favourite teams and their matches below. What’s interesting to note is that the PCB has said that there could be a possibility of more matches to be played in Pakistan in season four. In PSL 2018, there were three games that were played including the final in Karachi and two other playoffs in Lahore. @ 2018. Dubai International Stadium.